Usually the most-pinned looks on my Outfit ideas for ageless style Pinterest board are neutral and minimalist, with the occasional leopard print. 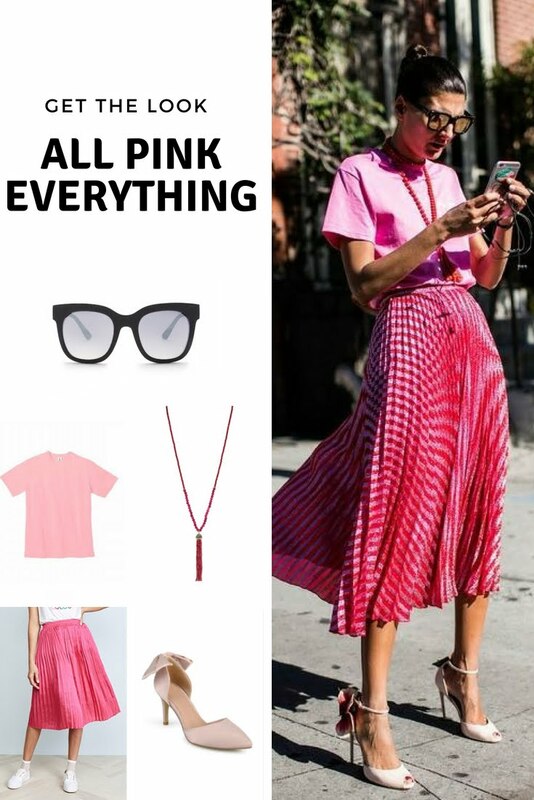 So I was, ahem, tickled pink to see that the most-repinned look this week was this totally bright, unapologetically feminine all-pink shot of what I'm pretty sure is street style icon (and now author) Giovanna Battaglia Engelbert. The best part? I've recreated her look with pieces that are all under $100. What makes this look work is that all the pieces are different shades of pink—the variation is subtle enough so that you don't look like a Mary Kay salesperson gone wrong. To contrast with the skirt (more on that shortly), the T-shirt needs to be a light but not too pale pink. 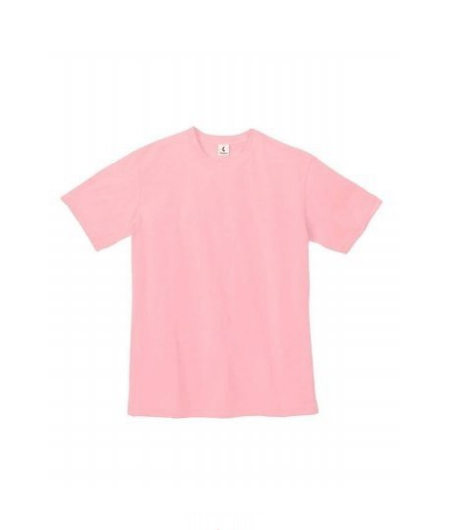 This Clementine Apparel tee comes in a gazillion sizes and colors, and is a mere $14. 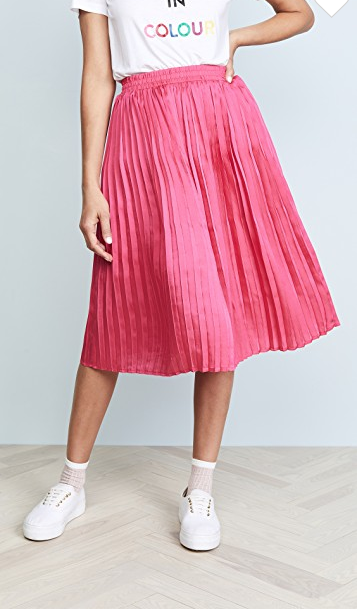 I think Giovanna's skirt might be Valentino, but I was pleased to find this Endless Rose pleated midi skirt on sale at Shopbop for $28.50, and available in other colors too, if pink isn't your thing. You can tell that the fabric isn't quite as luxe, but the color and shape are close, and for the price, you can't go wrong. I rarely include jewelry on these posts, but the tassel necklace in this outfit is actually big enough to see, and as the deepest shade of pink, it serves a purpose too. 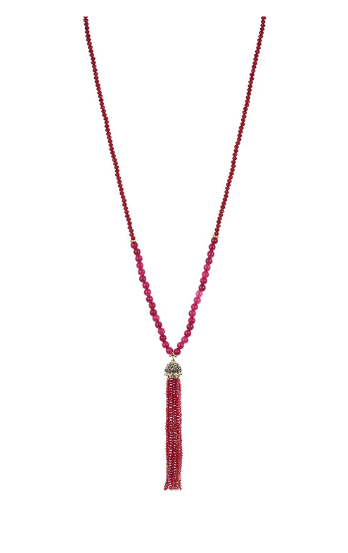 I'm a fan of this Sequin tassel necklace, on sale for $34, both for its price and the pop of color it will add to other pieces in your wardrobe too. 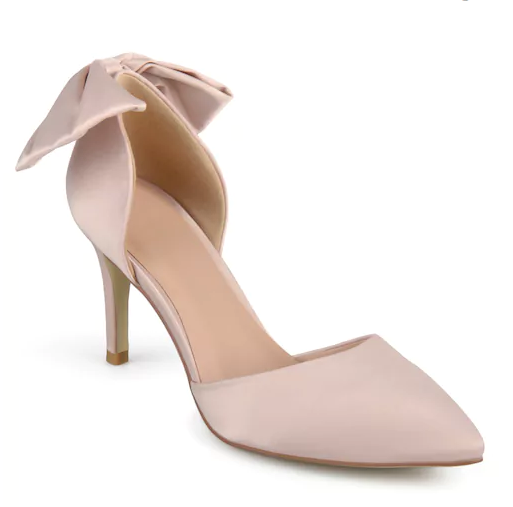 Giovanna's shoes are probably Italian and expensive, and while finding something similar was quite the test of my search-engine skills, the closest I could come was these satin Journee Collection heels. They're closed-toe and a d'Orsay shape instead of an ankle-strap sandal, but the exaggerated bow detail in the back pretty much gets the point across. And, of course, no fashion influencer is complete without a pair of big mirrored rectangular sunglasses. 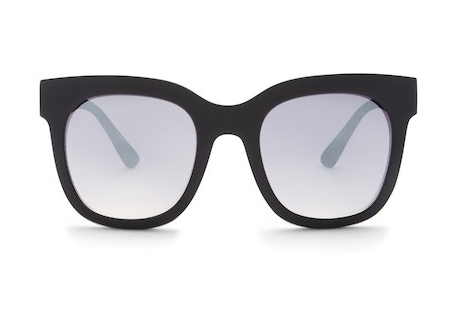 I'm a big fan of Quay Australia, and price is right ($25) on their their Sagano sunglasses. Thanks for linking up to the Top of the World Style linkup party. These items are a great inspiration. Pink is always a great idea. Those blush heels with the bow are so pretty and I love that fun pink pleated skirt! I have a pleated skirt in a burgundy color, but I'd love that pink one, too! ha! I have a bright pink skirt in my closet that I never wear...this just inspired me to pull it out again!! Thanks!! I love pink! Especially lighter shades of blush lately!